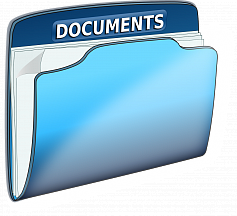 In this article you can find out how to select the company requisites for documents generating. We often have to automate the creation of such documents as contracts. We also use such automation on our portal — we automatically create NDA agreements on the basis of the deal data, license agreements, service agreements, etc. Our solution «Document Generator» helps us with this task. Generator inserts data into a template in docx format. But there is a quite common situation when a company, with which a deal is concluded, has several legal entities, and each legal entity has several sets of bank requisites. How should we indicate in this case, which requisites of this company we have to add to the contract? First we ask the user to specify, with which legal entity he is going to conclude the contract. As we can’t know in advance, how many legal entities will be there, and we can’t dynamically change the number of cases in the business-process’ task, we propose that there are less than 7 legal entities, and ask the user to select the desired number of the legal entity. If you have companies, which has more than 7 legal entities, just increase the list of number selection. Then, when the right legal entity is selected, we ask the user to select the bank requisites, from those, that are in this legal entity. Of course, if this company has only one legal entity with one requisites, or the chosen legal entity is unique, we don’t ask for any actions from the user, we just take this data. And now the looking glass. Below we attach a business process scheme and the business process of selecting the requisites for the company, so you can establish and test it, or use it in your work. You can get acquainted with the module «Document Generator» by this link: https://www.mcartgroup.com/blog/gen-doc/.